Acted as exclusive financial advisor to RIC Insurance General Agency, Inc. in its sale to Worldwide Facilities, LLC. RIC is a wholesale insurance brokerage and managing general agency with office locations across the western United States. RIC specializes in small to medium-sized commercial business as well as personal lines business. Following the acquisition, RIC will continue to maintain its client and market relationships and commitments as a division of Worldwide Facilities. Acted as exclusive financial advisor to Direct Auto Insurance Company in its sale to NI Holdings, Inc. Headquartered in Chicago, IL, Direct Auto underwrites specialty automobile insurance in the state of Illinois through independent agents. NI Holdings, Inc. is an insurance holding company, which fully owns Nodak Insurance Company. Nodak’s acquisition of Direct Auto furthers its goal of diversifying its business and expanding its insurance operations. Joe Fitzgerald, the President of Direct Auto, and one of the principal shareholders will continue to manage the Direct Auto insurance operations. Acted as exclusive financial advisor to JenCap Holdings LLC in its acquisition of Genesee General. Founded in 1982, Genesee General is a full-service managing general agency and wholesale broker that specializes in commercial insurance products for the excess and surplus lines industry as well as servicing the catastrophe and program business markets. Genesee General is based in Alpharetta, GA and has been led by Roger Ware since 1998. JenCap was formed in March 2016 by global alternative asset manager The Carlyle Group and JenCap management to consolidate specialty insurance distribution businesses, including managing general agents, program managers and transactional wholesale brokers. The acquisition of Genesee General is the seventh transaction by JenCap since its founding, and places the company among the largest wholesale brokers in the U.S. Acted as exclusive financial advisor to Manning & Nozick Insurance Agency in its sale to Brown & Brown. Manning & Nozick has been a presence in Atlanta for over 70 years. 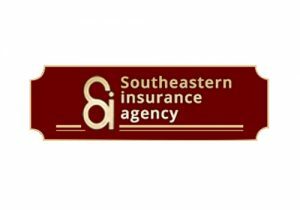 The agency provides a wide variety of personal and business insurance products and services to clients in the greater Atlanta area and nationally. Following the acquisition, Manning & Nozick will combine with Brown & Brown’s existing Atlanta offices. 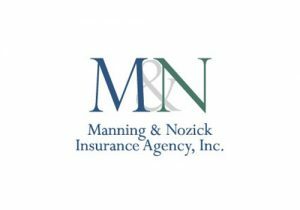 Brian Coffsky, Robert Franco and Stanley Westerman, the principals of Manning & Nozick, are all remaining with the agency and will continue to serve their clients and grow their business. Acted as exclusive financial advisor to Sachs Walsh Insurance in its sale to AssuredPartners. Based in Westport, CT, Sachs Walsh is a retail insurance agency that offers personal and commercial property and casualty insurance, as well as life, health and long-term care coverage. Since its founding in 1978, Sachs Walsh has established itself as one of the premier independent agencies in Fairfield County. Sachs Walsh will maintain its local presence and continue to be led by President Teri Walsh. Acted as exclusive financial advisor to the Holden Agency in its sale to Cross Insurance. Founded in 1955, the Holden Agency is a longstanding independent agency based in Portland, ME. Holden provides employee benefits and property and casualty products to commercial and personal lines clients. Headquartered in Bangor, ME, Cross Insurance saw the acquisition as a tremendous opportunity to expand its operations in Maine. Holden executives Thomas Holden and John Benoit will continue to serve and assist with management of the business. Acted as exclusive financial advisor to N-Surance Outlets in its sale to Ryan Specialty Group. N-Surance Outlets (NSO) is a wholesale insurance brokerage and binding authority operation headquartered in Roswell, GA with a branch office in Tarpon Springs, FL. Founded in 1985, NSO specializes in commercial P&C, transportation and garage risks, servicing over 1,000 agents in the Southeast. Jason Murrey, President of NSO, and his team will continue to service and expand their client base. CELIC provides life insurance products and related services through the funeral industry, emphasizing the integration of advance funeral planning as an extension of the funeral arrangement service. CELIC has maintained a presence in the preneed insurance marketplace for over a decade and is one of the market leaders in its operating region.